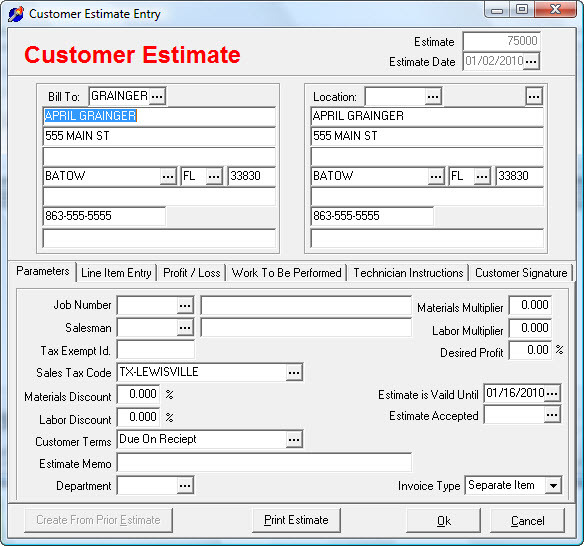 The HVAC Remote Technician Edition is a software program designed to work in tandem with the HVAC Central Office program on a Windows laptop in the field. A full-time internet connection to the Central Office program is not required. 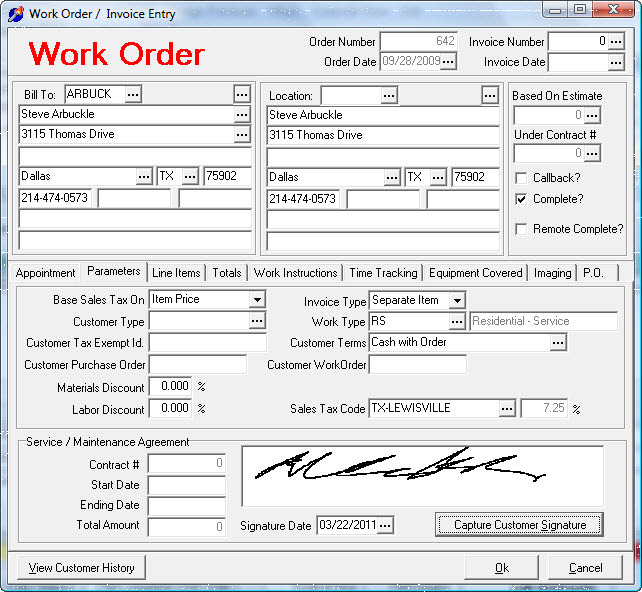 It allows a technician to be dispatched his workorders onto a laptop or tablet pc, take the laptop into the field, view the customer workorder and customer history while in the field, make changes to the workorder, write up and print the customer invoice while in the field, and then upon returning to the office download his completed workorders. 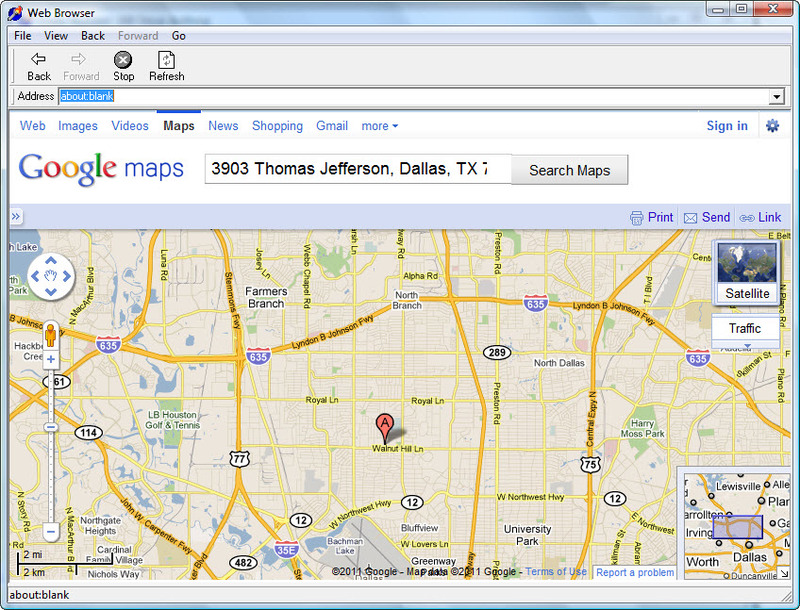 The remote technician program does not require a constant connnection to the internet. 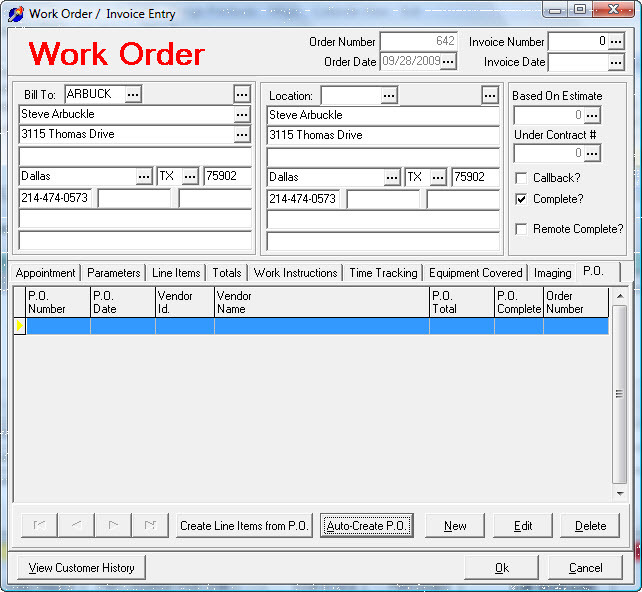 It will work completely disconnected since it contains all needed data to perform customer history lookups on the dispatched workorders. 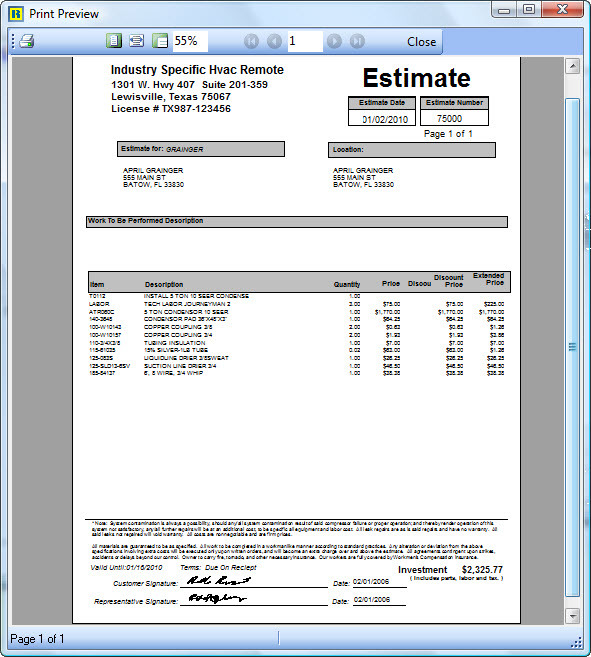 The remote technician program contains the same estimate and work order entry areas as the Central Office program. 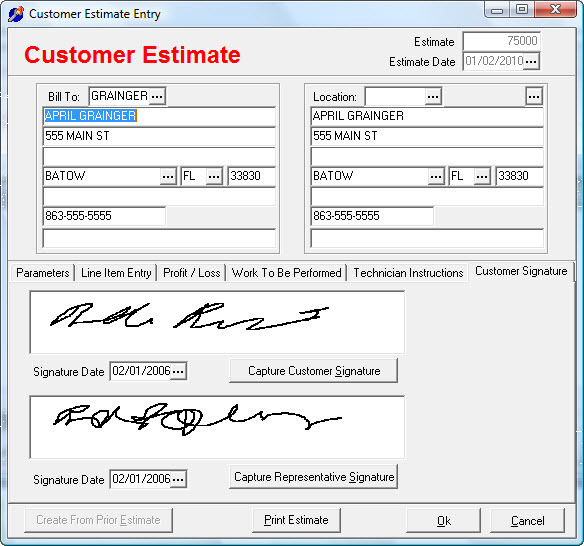 For security reasons, some entry mechanisms are restricted to not allow the technician to override functions that would normally be done by the main office. 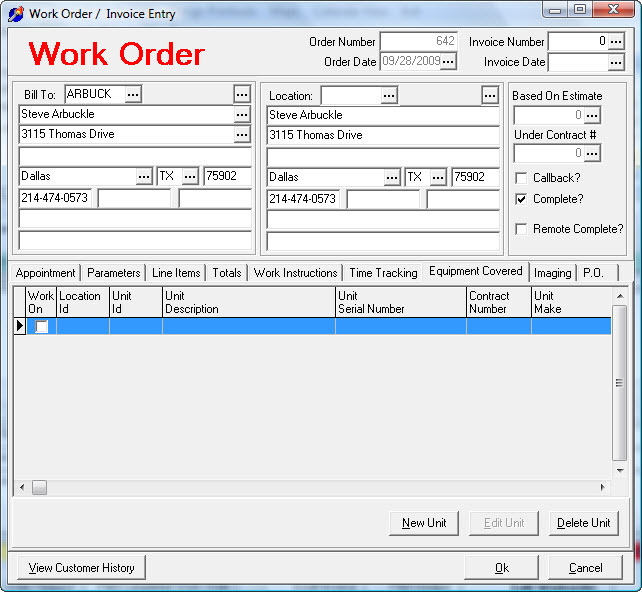 The main work area of the program is the Service Dispatch area. 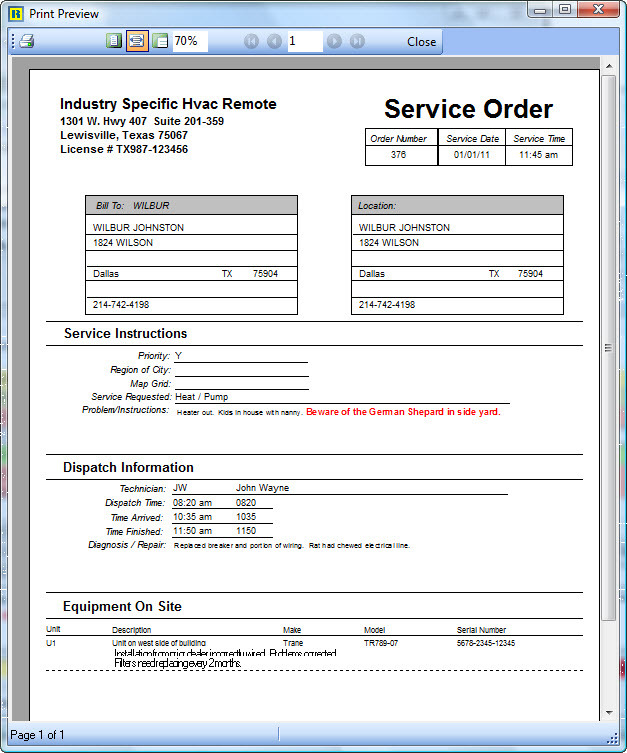 Here the technician will be able to view, edit, and print workorders and invoices. 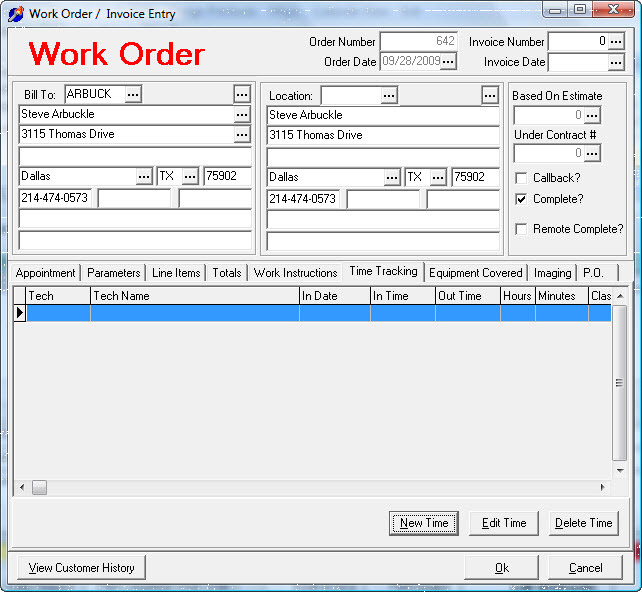 The technician synchronizes with the central office by clicking on the Synchronize Workorders With Office button. 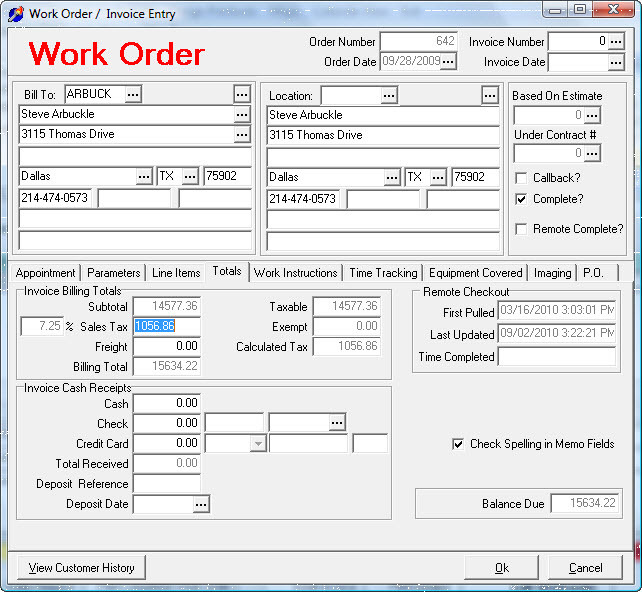 This starts a process that will send workorders from the remote and pull workorders from the central. 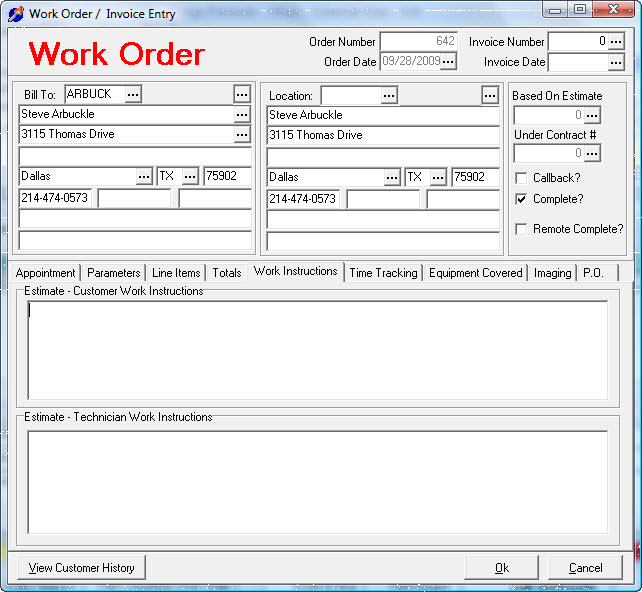 After synchronizing, the technician will see the workorders assigned to his tech id in the central office. 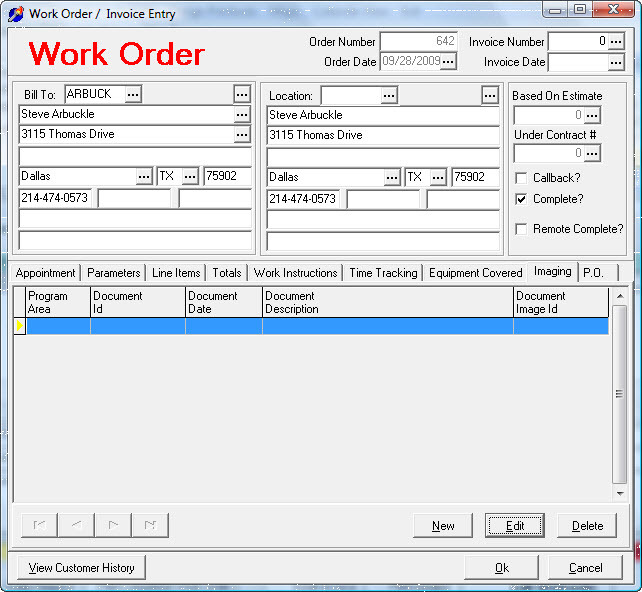 When work orders are pulled from the central datastore, customer histories are also pulled for each workorder based on the customer id on the work order. 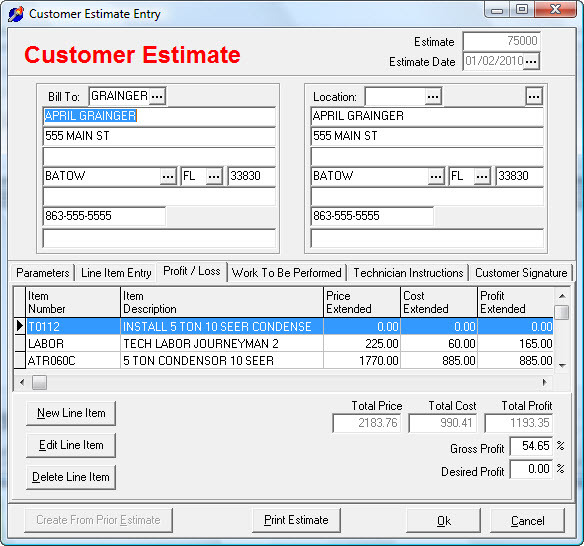 This will help the technician to be able to view customer invoice histories, customer contracts, and customer notes while he is on the job site. 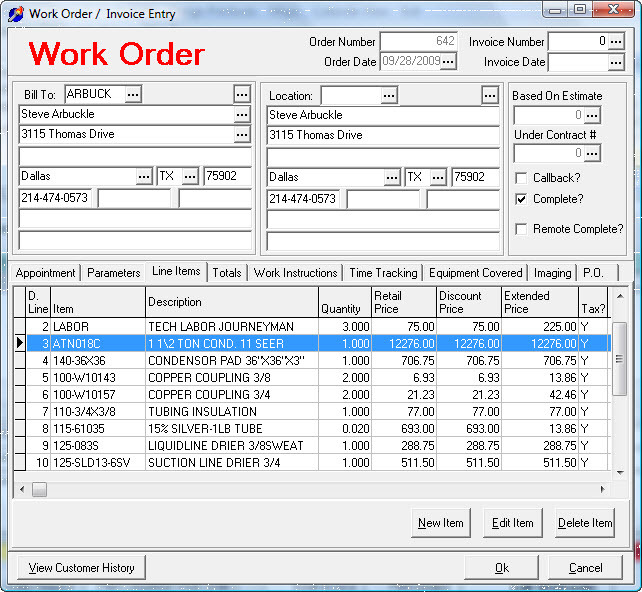 The technician uses the dispatched workorder for the site service information and later to write up the completed work order and then invoice the customer. 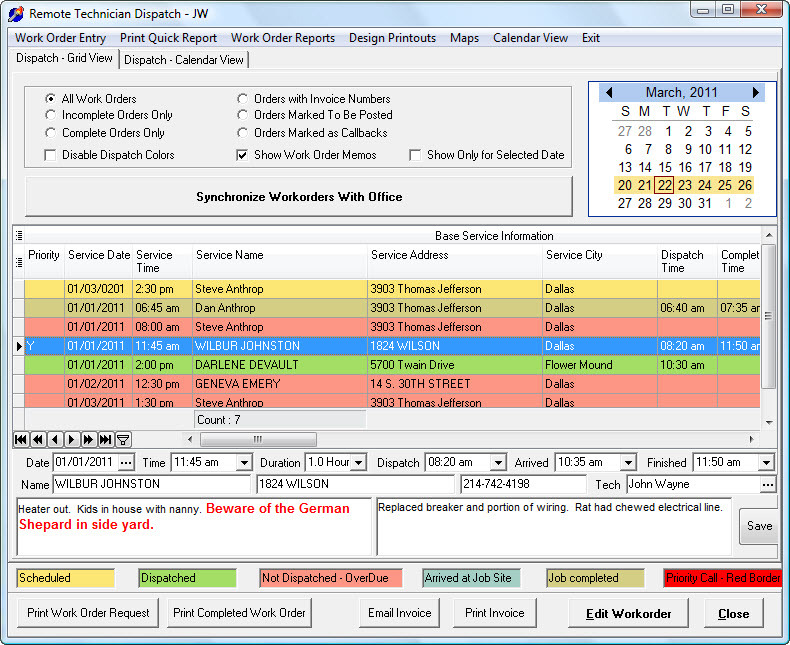 The main work area of the program is the service dispatch calendar area where customer work orders are entered, dispatched, and invoiced. 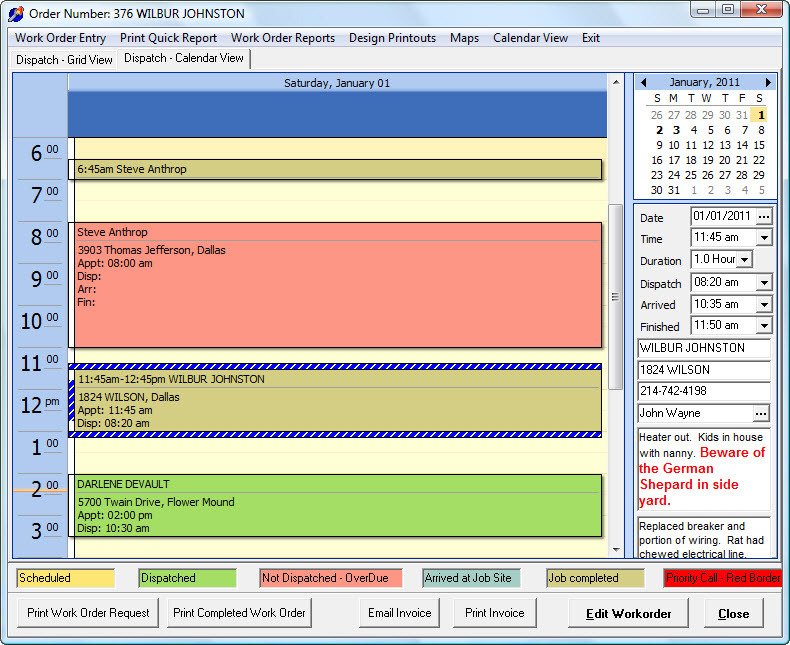 There are two views of the calendar – a grid view and a calendar view. 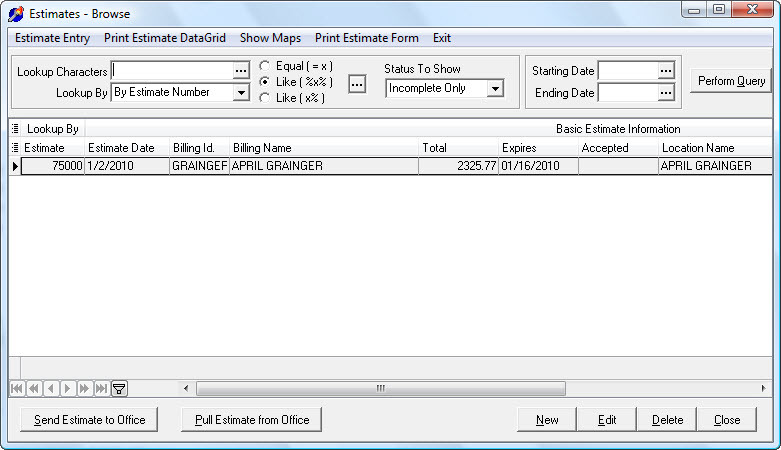 From the grid view, work orders can be filtered by any field on the data grid. 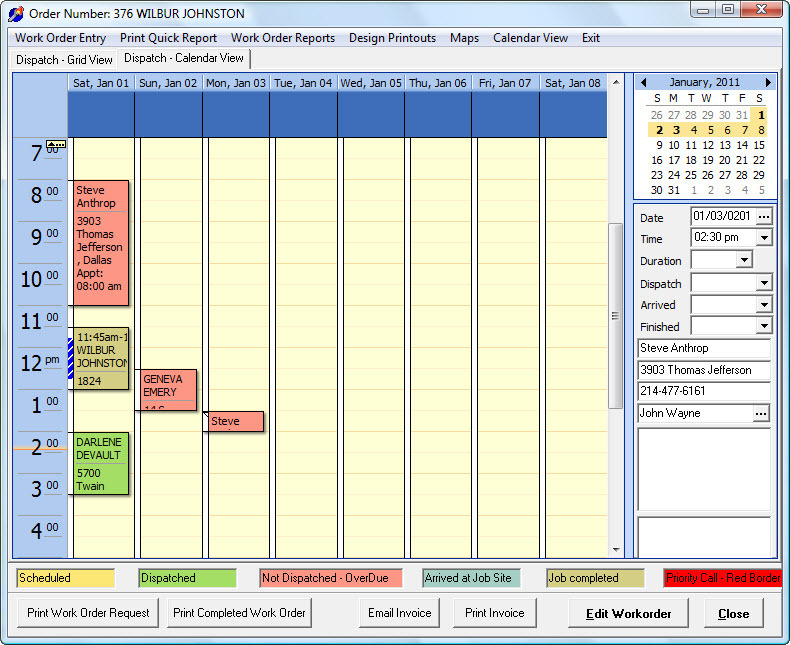 From the calendar view, the work orders can be viewed by day, by week, by month, and by technician. 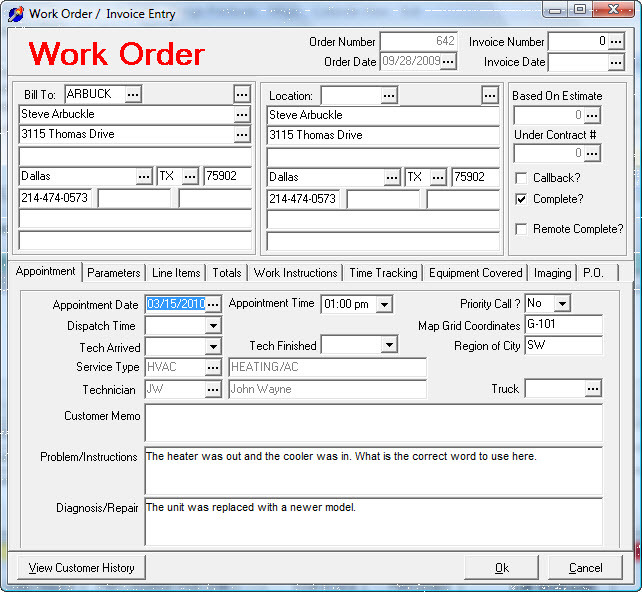 Work orders are used to enter what occurred on the service call, billing items, and timesheet entries, and invoice the customer. You may also scan in document images for transfer to the central office. 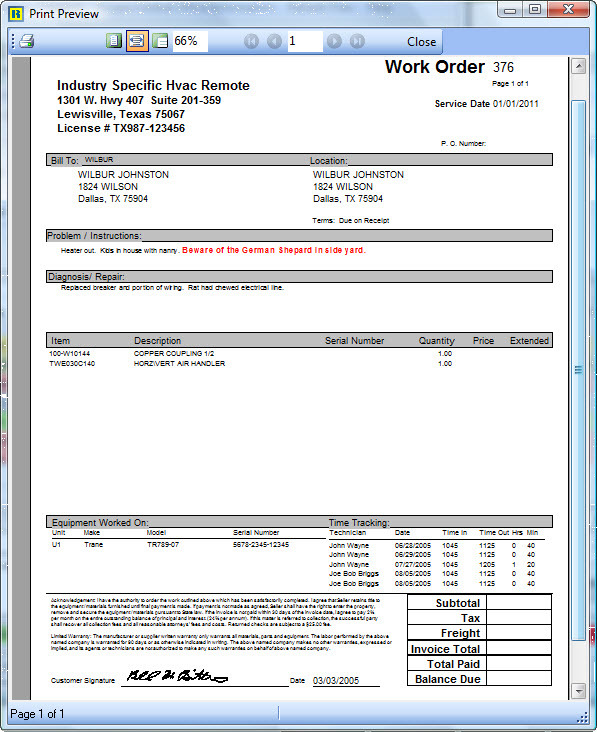 Work orders originate from the service dispatch of the HVAC Central Office program. 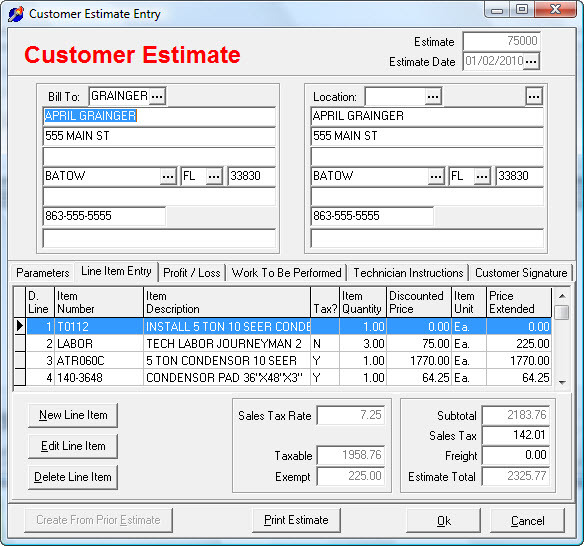 The customer estimates allows the technician to create, print, email price quotes right at the customer site.